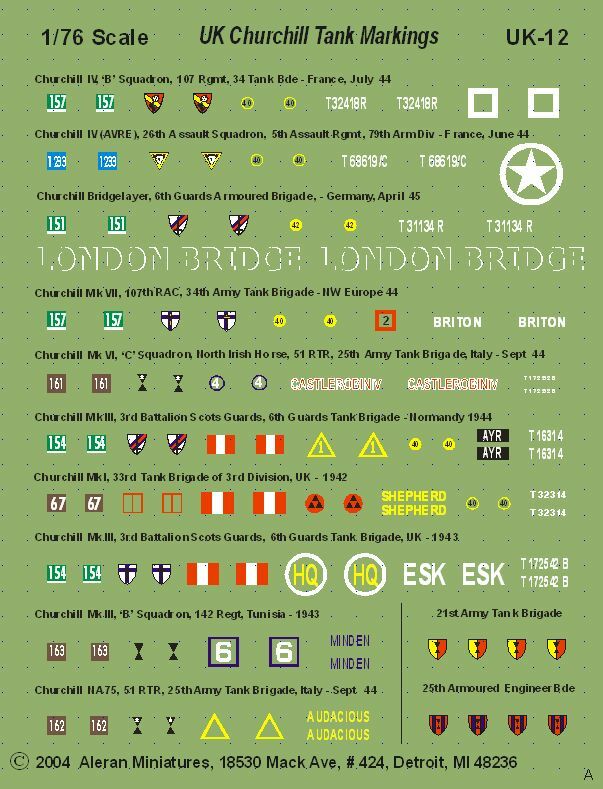 This set is dedicated to Churchill tank markings and includes markings for specific vehicles. Details of the month, year regiment, etc., are included. The unique set includes markings for a Mk.I, 3x Mk.III's, Mk. IV, Mk. IVNA75, Mk. IV AVRE, Mk. IV Bridgelayer, a Mk.VI and a Mk.VII.